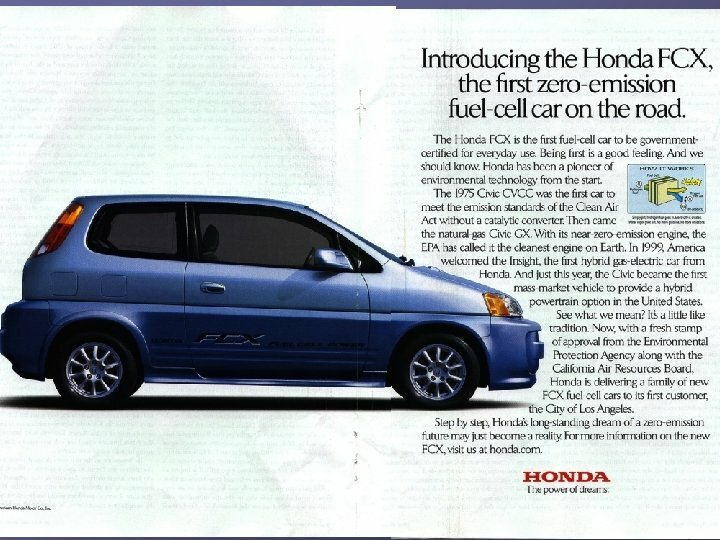 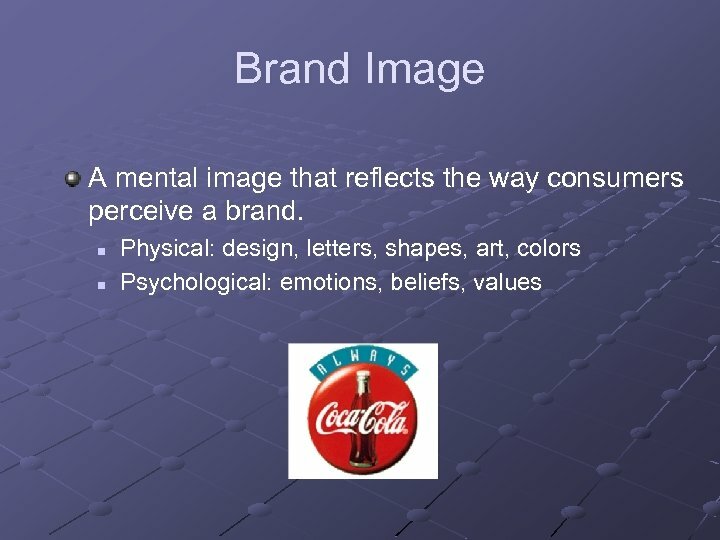 A Brand is any. 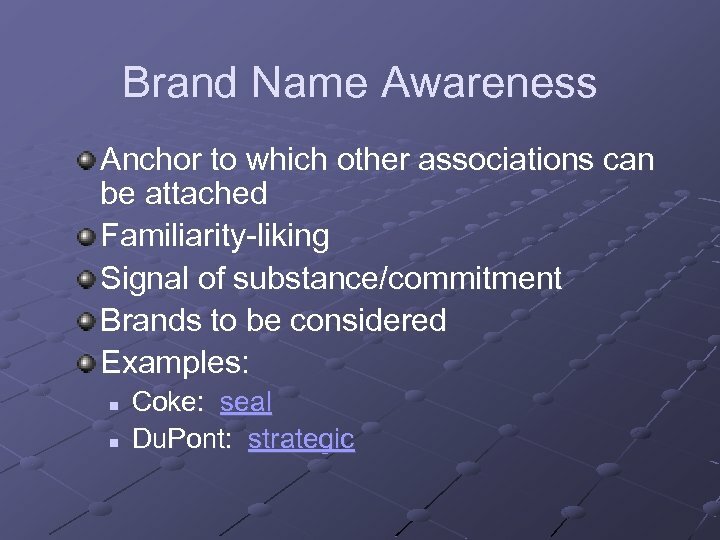 . . term… Coke name. 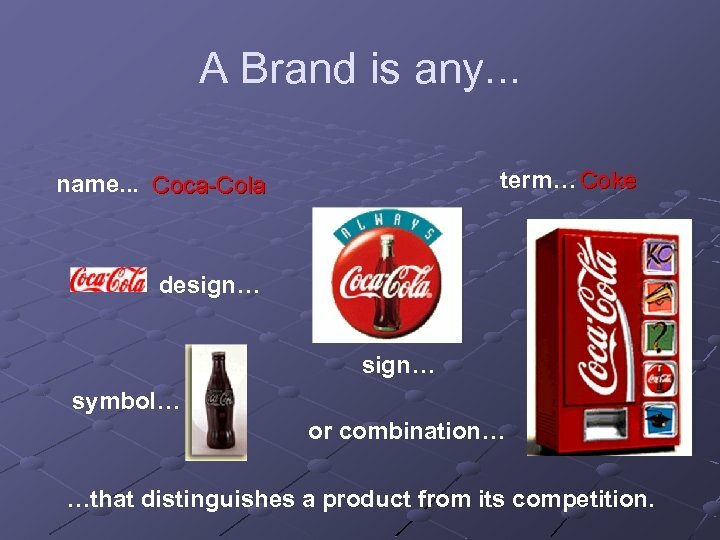 . . Coca-Cola design… symbol… or combination… …that distinguishes a product from its competition. 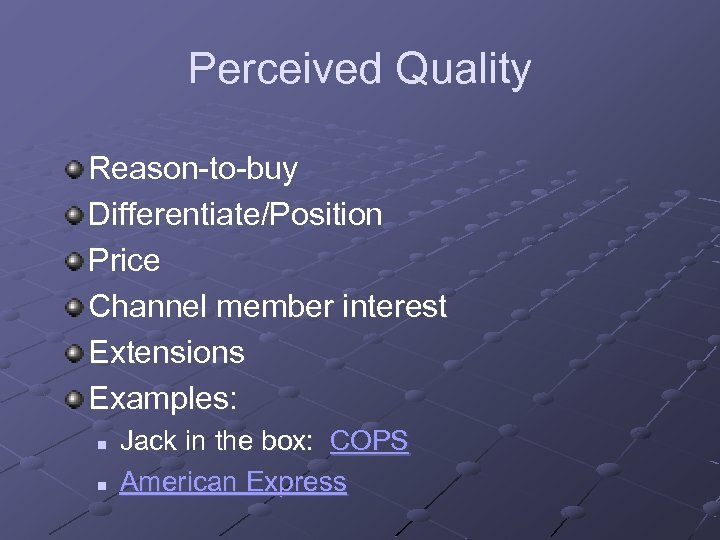 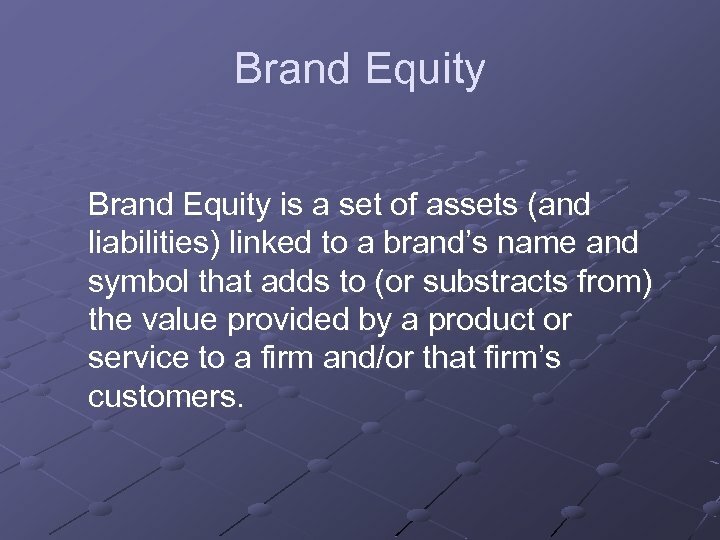 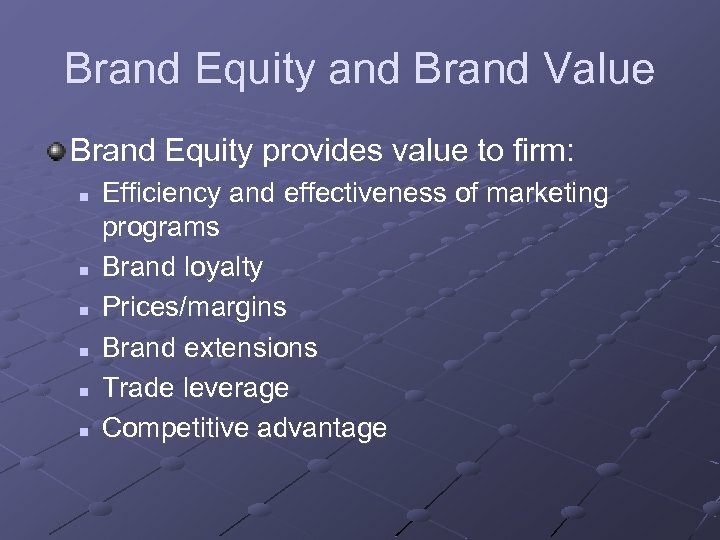 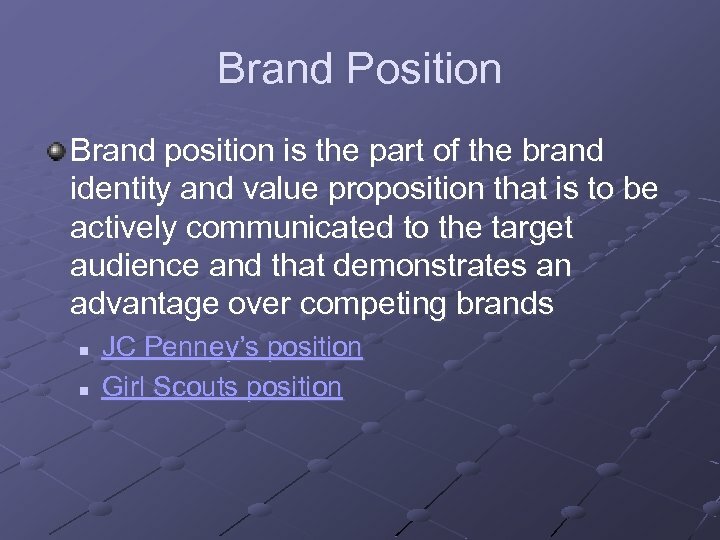 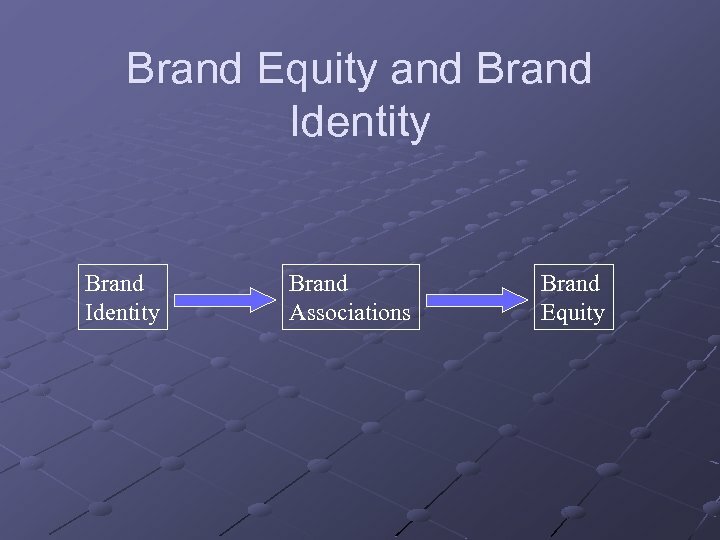 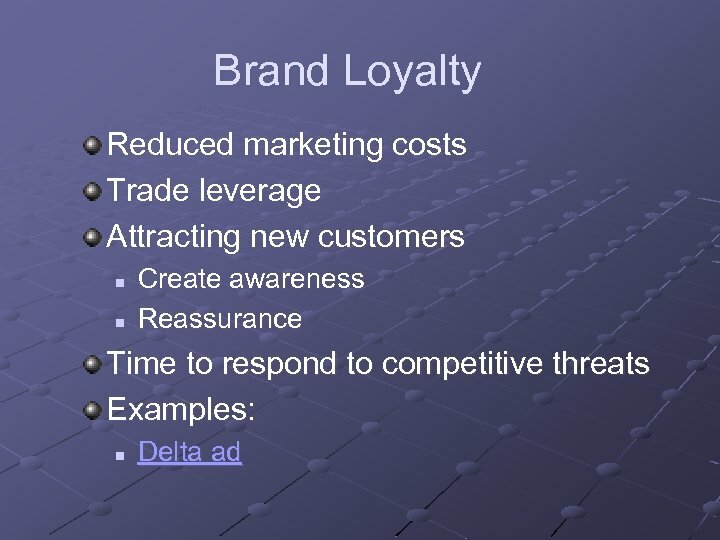 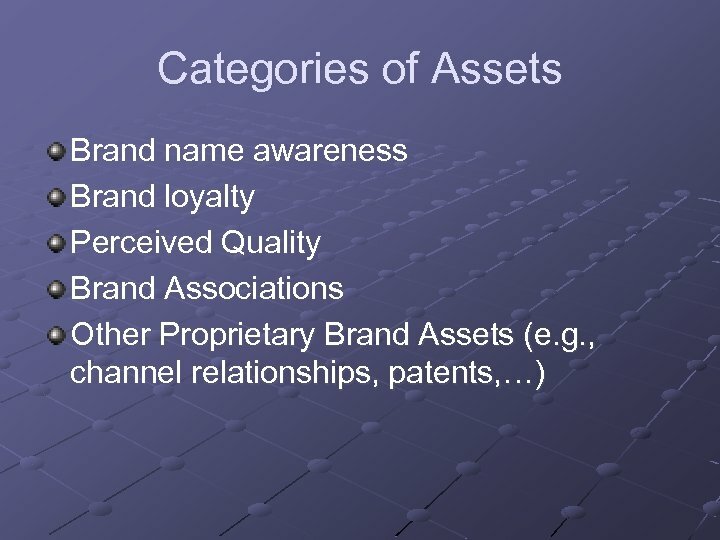 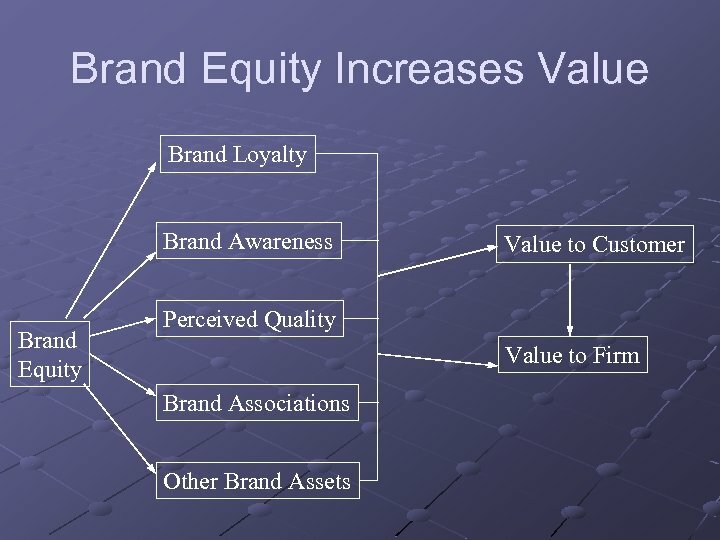 Brand Equity is a set of assets (and liabilities) linked to a brand’s name and symbol that adds to (or substracts from) the value provided by a product or service to a firm and/or that firm’s customers. 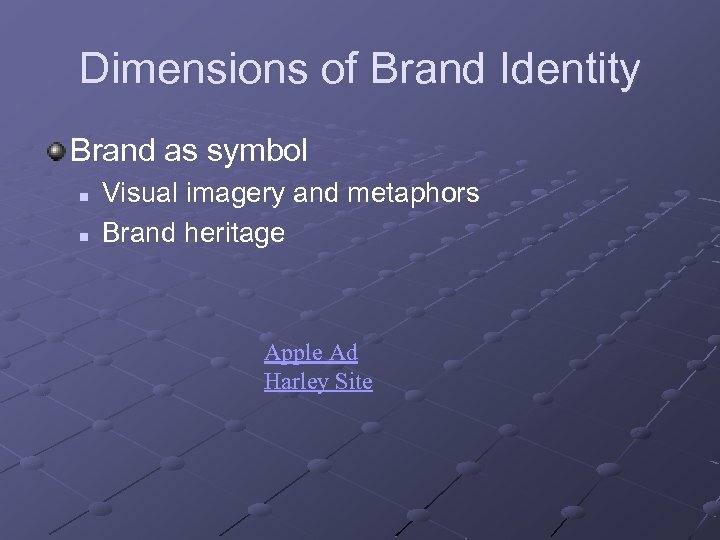 Brand Identity A brand identity provides direction, purpose and meaning for the brand. 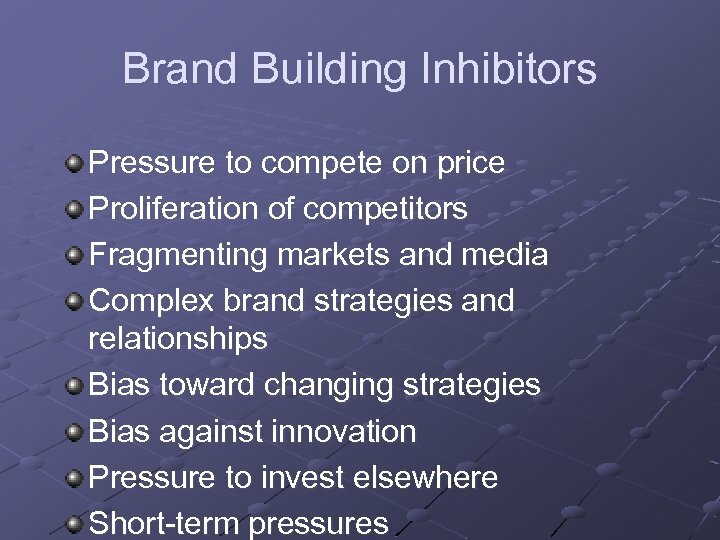 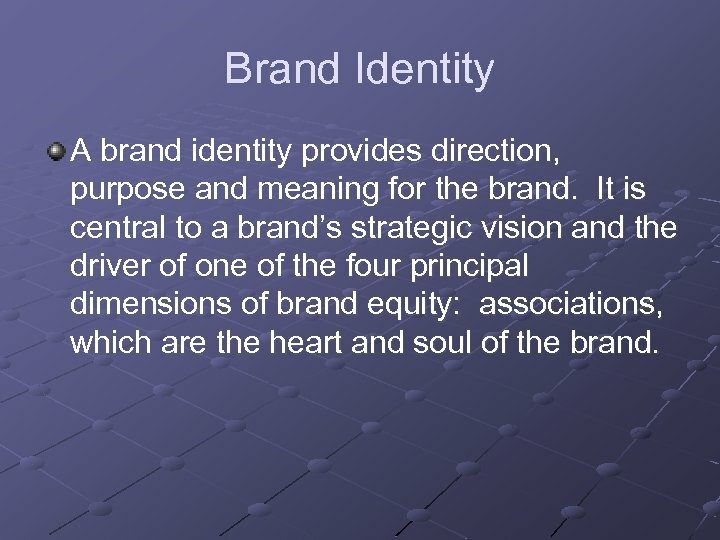 It is central to a brand’s strategic vision and the driver of one of the four principal dimensions of brand equity: associations, which are the heart and soul of the brand. 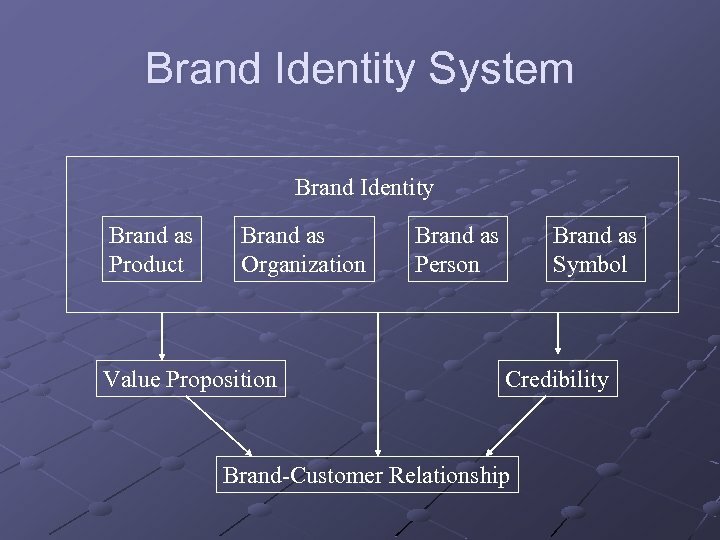 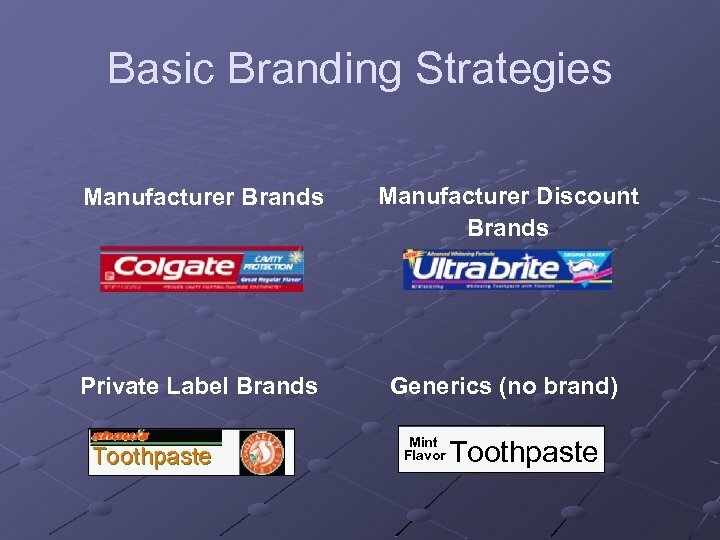 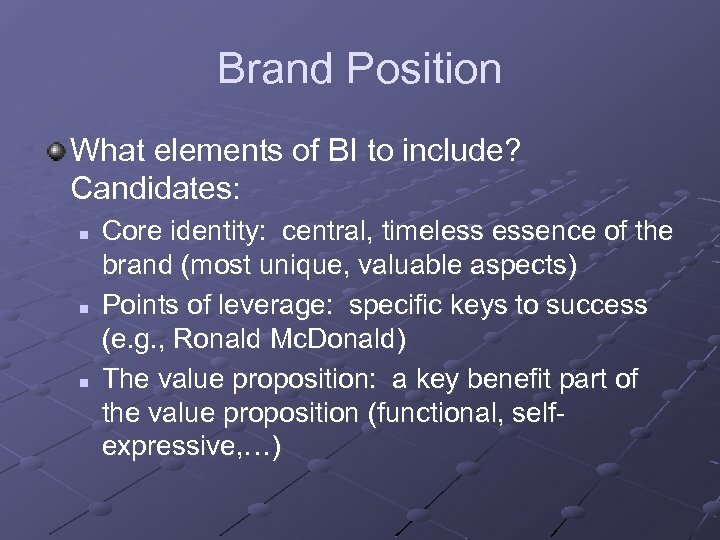 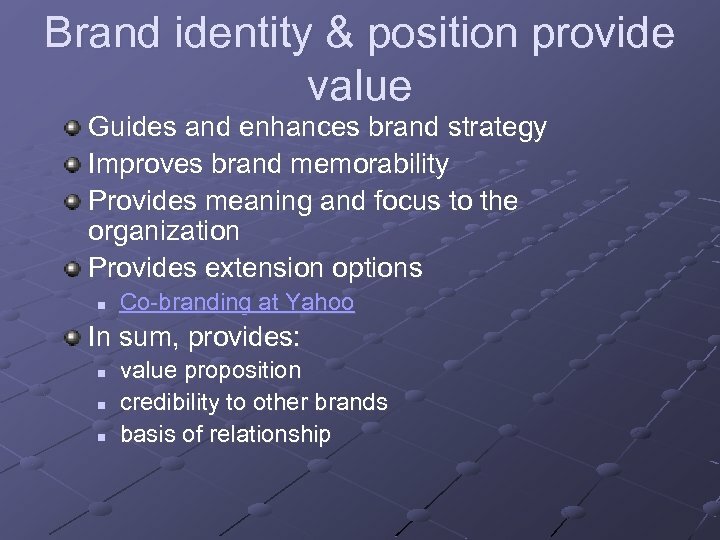 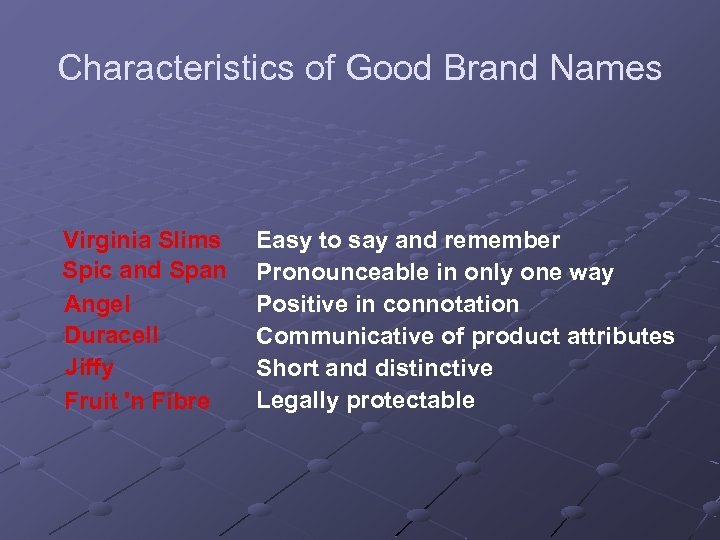 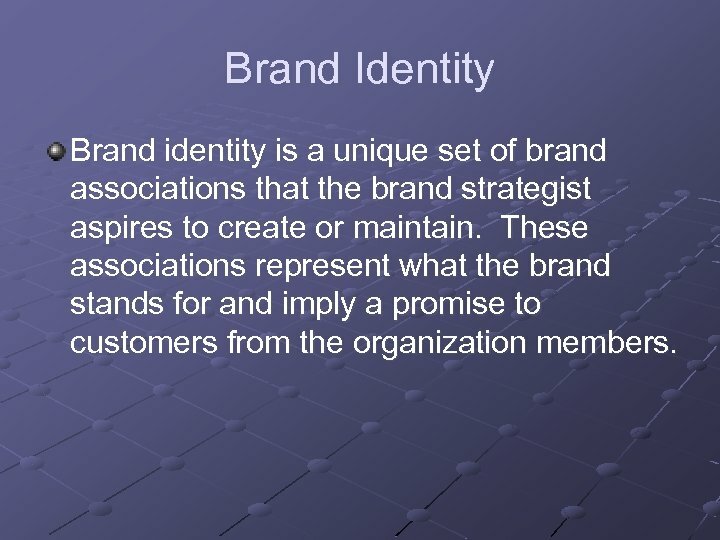 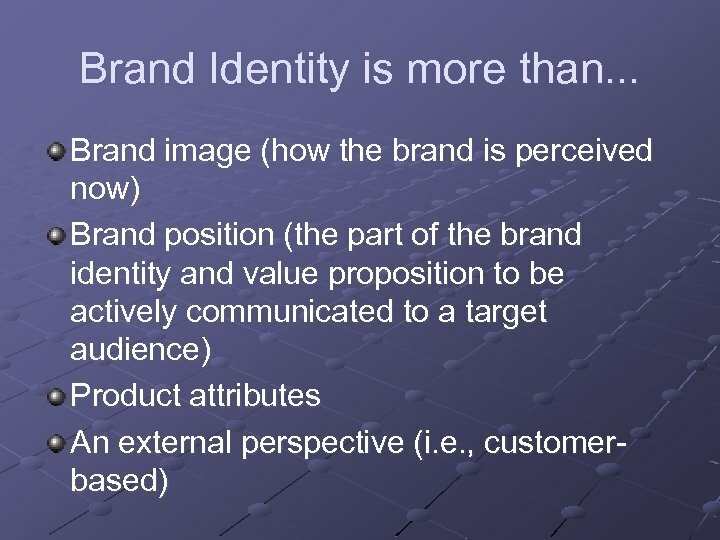 Brand Identity Brand identity is a unique set of brand associations that the brand strategist aspires to create or maintain. 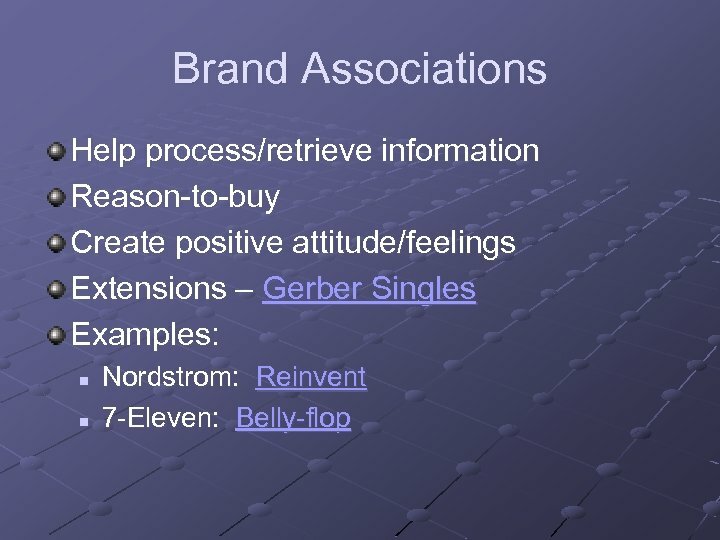 These associations represent what the brand stands for and imply a promise to customers from the organization members. 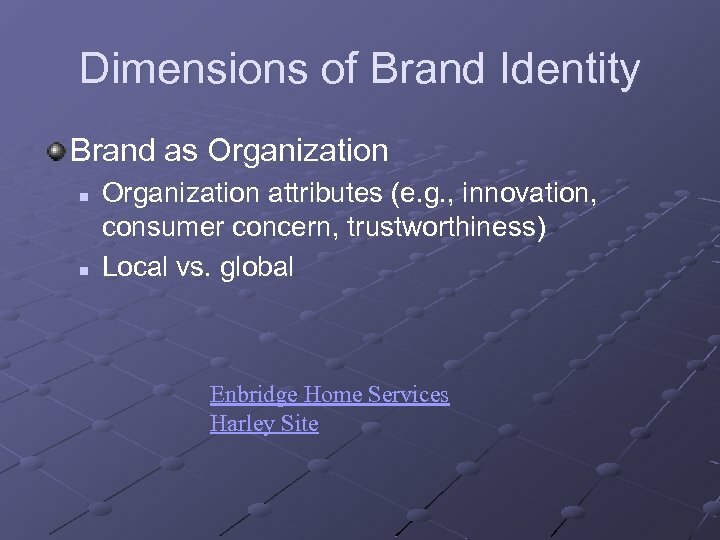 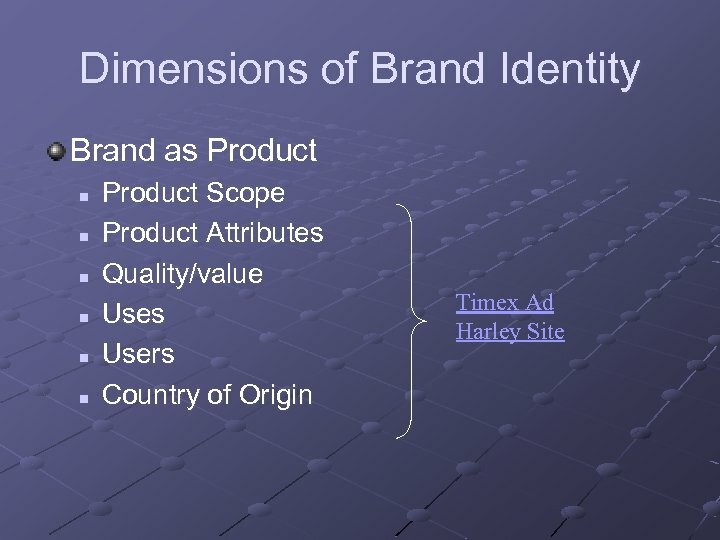 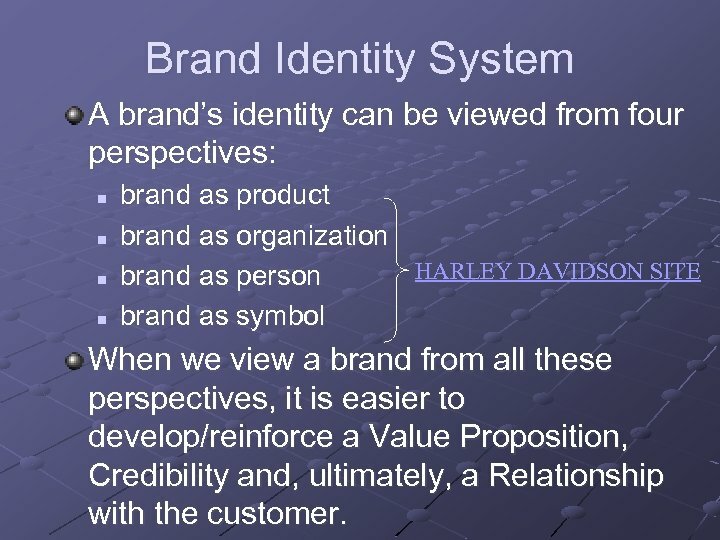 Brand Identity System A brand’s identity can be viewed from four perspectives: n n brand as product brand as organization HARLEY DAVIDSON SITE brand as person brand as symbol When we view a brand from all these perspectives, it is easier to develop/reinforce a Value Proposition, Credibility and, ultimately, a Relationship with the customer. 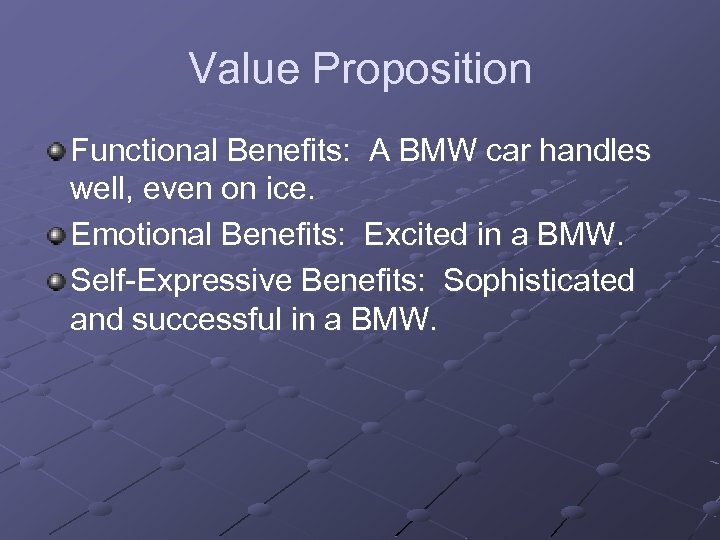 Value Proposition Functional Benefits: A BMW car handles well, even on ice. 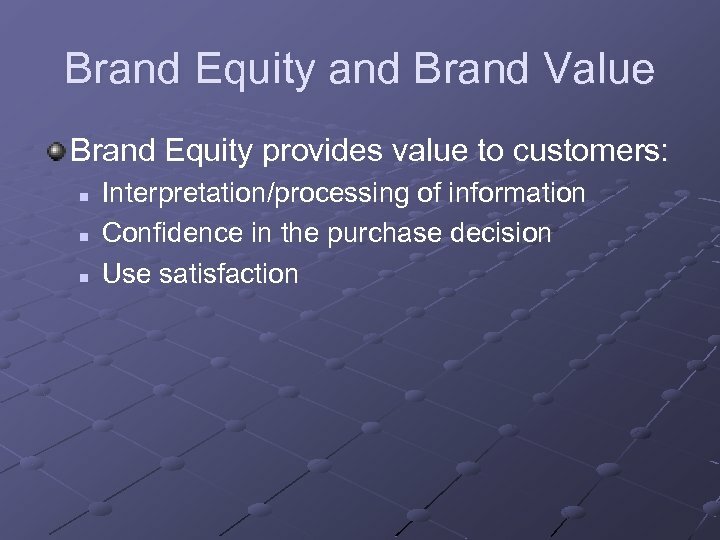 Emotional Benefits: Excited in a BMW. 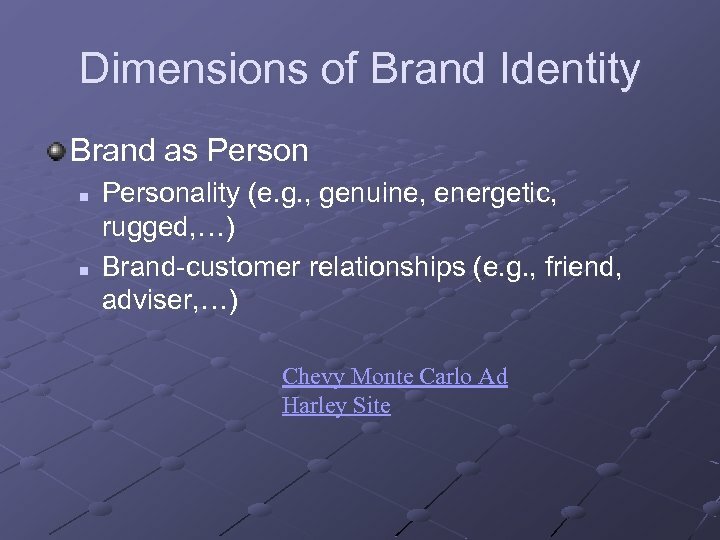 Self-Expressive Benefits: Sophisticated and successful in a BMW.